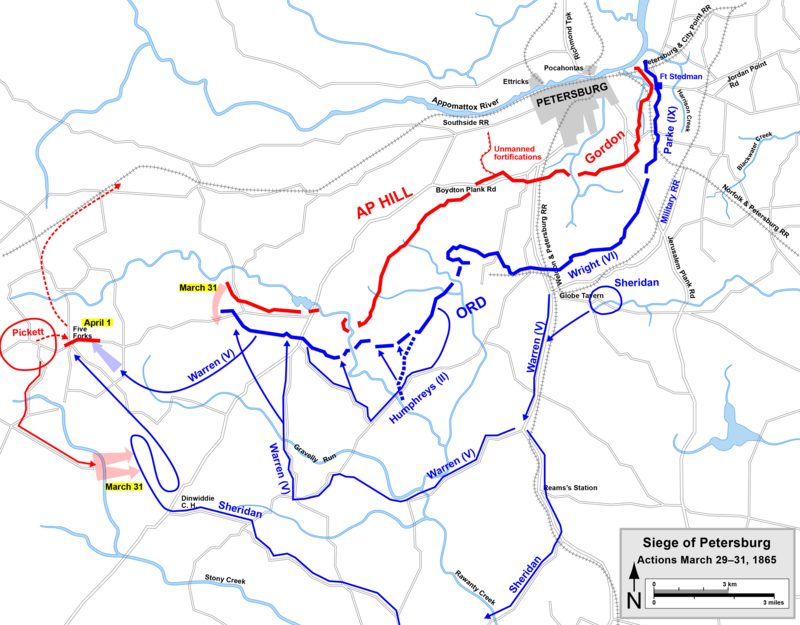 Grant feared that General Robert E. Lee would once more strip troops from the defenses around Richmond and Petersburg and along the Boydton Plank Road to restabilize the strategic picture around Five Forks. He also worried that Lee might altogether abandon the lines and have a head start on the race for North Carolina. To prevent these likelihoods, Grant ordered his first offensive directly against the Confederate earthworks since the doomed fighting around the Crater in late July 1864. Each of his other offensives had drawn operations further and further to the southwest of the city without having to involve large scale frontal assault against the established Confederate fortifications. 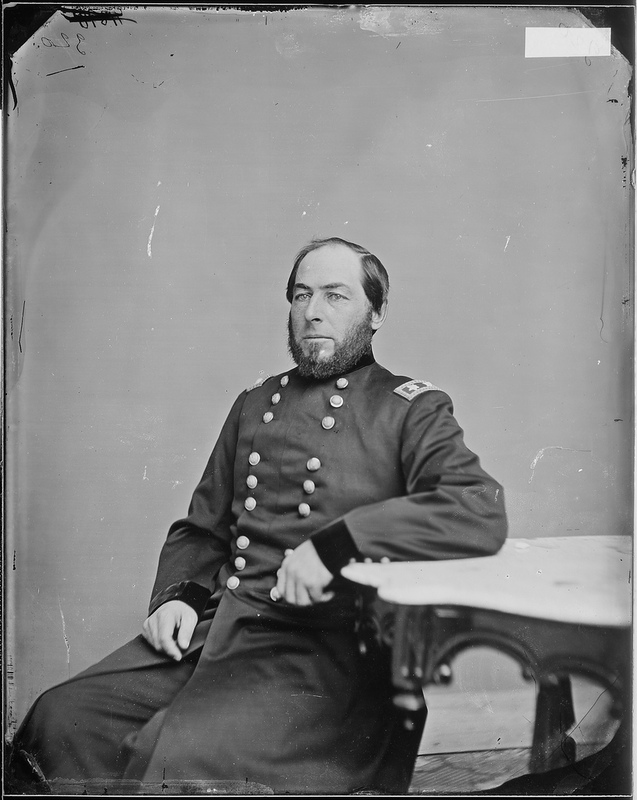 Now Grant ordered Maj. Gen. George G. Meade’s VI and IX Corps to stage those direct attacks. Later on that evening the generals met to detail their plans. In the meantime, with the military action shifted to the west since the Battle of Jones Farm a week prior, some in the VI Corps spent the day on April 1 engaged in the popular tradition of pranks. “The boys have been very busy trying to fool all they could today & it mad[e] considerable merriment to[o],” wrote a New Yorker. The men’s fun soon ended when they realized the ramifications of the victory at Five Forks. 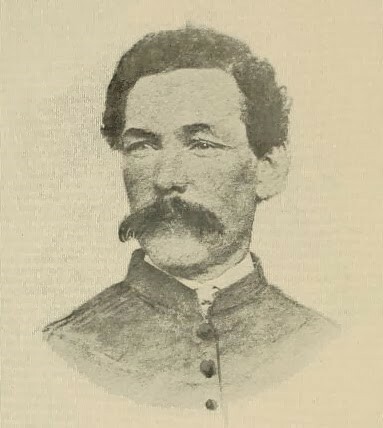 “We sat around our smoky, green pine camp fires, waiting for roll-call, and wondering whether a flank movement was brewing, or whether Grant would keep us there until Sherman came up from the other way and turned those breastworks the other side out,” recalled Corporal Oscar E. Wait of the 10th Vermont. “Nonsense,” declared another soldier. “You don’t believe that Grant is silly enough to try such a thing. They licked us out of our boots at Cold Harbor, with only half the chance they have here. That is just what ‘Old Bob’ has been waiting for all Winter, and the General who does what the other fellow wants him to, is a fool or a lunatic, and Grant isn’t either.” The Vermonters contented themselves in the belief that the courier was trying to pull one over on them. “They have just been having a war council at our Corps Headquarters,” Watson said and then detailed all he had learned while waiting outside. All the corps commanders were there, and Gen. Wright was the only one who had anything very definitive to offer. He said that he was sure that the rebels had so weakened their force in our front that with his corps he could carry the works and hold them. 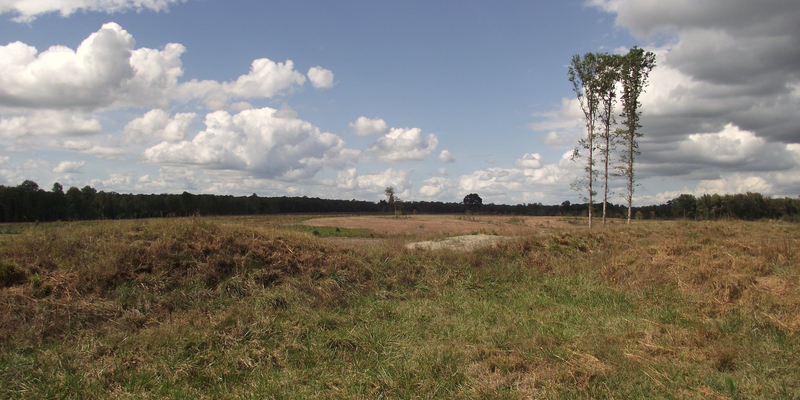 Gen. Grant suggested that as most of the rebels had gone to Five Forks it would be better to make our assault nearer their left, further from their main body. To which Gen. Wright replied that any advantage of that kind would be more than offset by the fact that the lines were nearest together in our front, and we knew every inch of the round between them. If it is a surprise, as it should be, we can make a break in their lines two miles wide, before they can get a man from Five Forks. Gen. Grant approved the plan, and after talking over some of the details they called it settled, and orders to that effect were given out. Sure enough, the VI Corps’ camps became scene of quiet bustle that night. 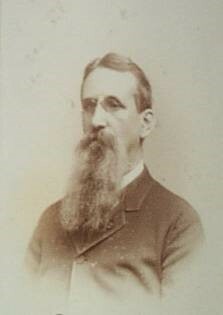 “Shortly after 10 o’clock P.M., of the 1st, the orders came for preparation, and for some time those arrangements that soldiers make before going into battle were quietly completed,” recalled Major Robert L. Orr, 61st Pennsylvania:. The VI Corps nevertheless filed through the opening and formed behind their advance picket line captured on March 25. Major General Horatio G. Wright organized his eight brigades into a wedge shaped formation here with the Vermont Brigade in the center guiding along a ravine formed by Arthur’s Swamp. Just before ten o’clock at night of the first, I noticed by the fitful glare of the light made by the burning fuses of the shells, that we were close to the dark walls of a silent fort. This was Fort Fisher. We passed through a narrow opening to the left of the fort and against its wall, in the breastworks, just wide enough for one man, and out to the picket lines. Moving as still as we possibly could, yet a body of seven or eight hundred men make some noise in walking, though we moved slow and picked each step as carefully as we could in the dark and rain. The mist of the evening had developed into a light, drizzling Virginia rain, which kept falling nearly all night long. The inability to keep this massed movement quiet drew some suspicion from the Confederate line. “The rebels showed how far they were from suspecting a movement by calling out to know if we were celebrating April fool’s day at that time in the morning,” recalled a Union soldier. Despite great strains to subdue all noise, the Confederate pickets became restless and fired a few probing shots toward the darkness in their front. The regimental officers hurried their men in to their proper position, where the men immediately sank gratefully to the ground. “The rebel picket line was alert and at every unusual sound fired toward us and cursed and swore and abused the Yanks,” recalled a Wisconsin soldier. We at once laid down and kept perfectly still. We saw the vicious flashes of their guns, heard the bullets cut the air about us, the thud when they hit, and all but two or three of the officers hugged the ground. 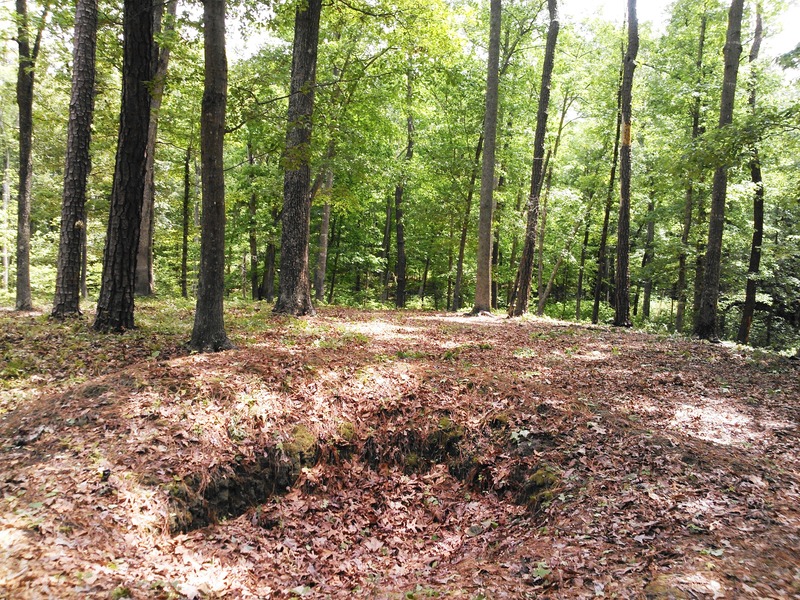 Sharp picket firing had been going on this place for days and the breastworks on both sides had been held by a strong force. The two armies were strongly entrenched all along the lines for miles, but our men, while it was expected they would attack at some point, were trying to keep the point of attack secret. So every noise on our side was magnified by the enemy into an assault, so when we made any noise their whole force manned their works and began firing at us savagely as long as there was any possibility in their minds of there being any force there other than the picket line. They had the range and if we were standing their fire would have got a good many of us, and as it was we lost a number of men during the fusillade. We lay flat on the ground in the darkness and the rain from about ten o’clock for an hour and a half. The firing upon us gradually ceased. Those hit made no outcry. No other noise than the thud of the bullets when they struck the victims. Two soldiers with a stretcher would noiselessly lay the man shot upon it and carry him away. All those hit, whether killed or wounded, were removed at once. The noise of the lieutenant aroused the whole rebel line opposite and gave them our location. They fired on us a continuous rattling volley of musketry and yelled and yelled. The anguishing screams of the wounded lieutenant made them cheer, laugh, damn us and fire at us with all their might. They hit a number of our men, but the others did not cry out. We hugged the ground closer than before if possible. The surface sloped slightly downward toward the enemy and we moved ahead a little to be on a lower level and laid perfectly still while the bullets pounded the earth and cut the air about us. About two o’clock the firing upon us gradually slackened and finally ceased altogether. I remember that the ramrod of my gun was hung in my gun. Young Cauthern was in the same pit with me. I could not get the ramrod out of my gun. He suggested that he would load his gun and I would do the shooting. He was glad to do this as he could lie down in the pit. We fought this way for some time—an hour or more. I was fearful that my gun would burst if I attempted to shoot with the ramrod hung in the barrel but when the enemy came again, I reached my arm out as far as I could reach it and pulled the trigger and shot the ramrod at them. Several Union soldiers shouted out “April Fool, Johnnies!” in hopes of subduing this fire. But the men still had a long wait to go. Wright designated 4:00 a.m. for the assault. We lay upon the ground during this contest, and the bullets were whistling about our heads. Finally we could hear a ball strike. It had hit somebody we were perfectly sure. It was heard by a great many of our regiment. Immediately in about half a minute we heard a man swearing, and he swore as though he was terribly mad. It was a lieutenant of one of our new companies, and it seems that the man was objecting, not so much to being shot as to the place where he was shot… We were all lying on our faces. That morning, however, the Union soldiers were growing restless for the signal gun. “I would rather charge than lie here in this suspense and mystery,” stated a New Yorker. The wicked fire of the Confederate skirmishers still continued with increased vigor and our men were constantly being hit without an opportunity to retaliate, for their pieces, in obedience to orders, were not loaded. This inability to return the enemy’s fire is misery intensified to the soldier. The breathless anxiety of the moment gave way to angry maledictions on the supposed tardiness of the signal gun, muttered between teeth set for desperate deeds. At four o’clock, Wright deemed that it was still too dark and postponed the assault for another forty minutes. Finally at 4:40 a.m., Captain Romeo H. Start of the 3rd Vermont Battery received instructions to signal the advance. “Just before the first faint shadows of morning light appeared on the horizon, the startling roar of the signal gun on Fort Fisher announced that the time for action had come, recalled a Vermont lieutenant. A charge was to be made; a great blow was to be struck; as to the result great expectations were entertained by officers of high grade as well as the rank and file. The 2d Brigade of the 2d Division had been selected to lead the charge; every man understood such to be the case; but few orders were given, and those in a whisper; guns were loaded, but uncapped, bayonets fixed. They quietly moved forward into the darkness, into the terrible fire, some into the shadow of death, many into the light of the coming day. This entry was posted in Battles, Common Soldier, Holidays, Sesquicentennial, Sieges and tagged Five Forks, Fort Fisher, Horatio G. Wright, The Breakthrough. Bookmark the permalink. Again wonderfully written … I felt like I was almost there. What a horrible experience battle is, its preparation almost as bad as the battle itself.